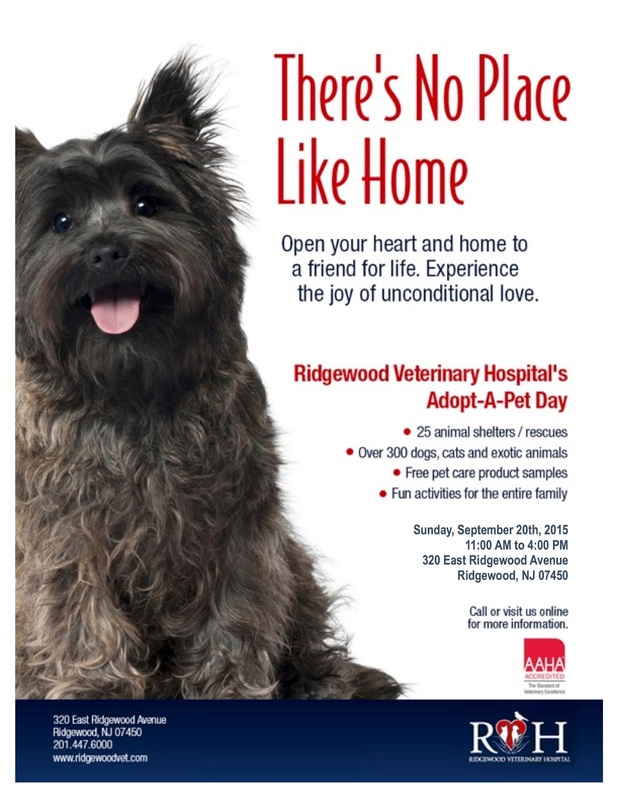 The Ridgewood Veterinary Hospital will hold its 10th Adopt-A-Pet Day 11 a.m. to 4 p.m. Sun., Sept. 20. The hospital is at 320 East Ridgewood Ave., Ridgewood.